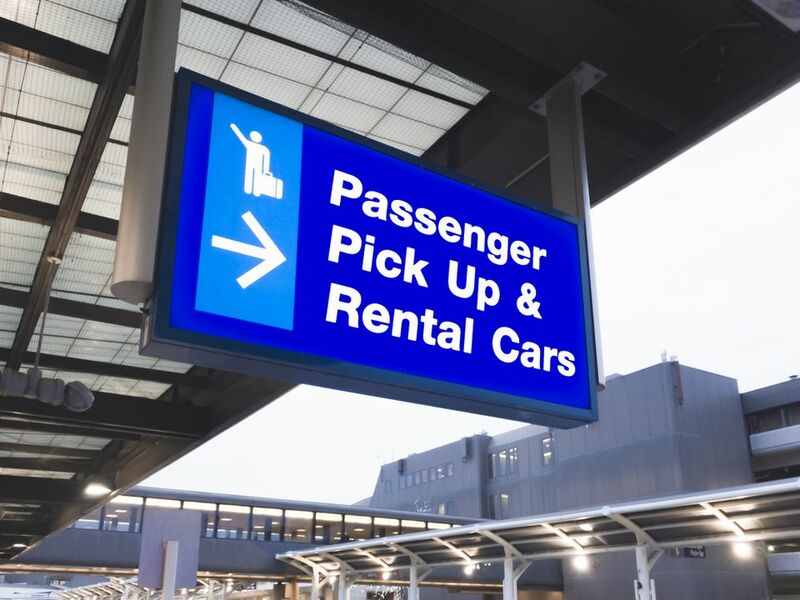 It's the most convenient place for many travelers to arrange a car rental, and there are times when trying to rent elsewhere is more trouble than it's worth. But many travelers fail to realize that airport car rentals are usually more expensive than other places. Why is this so? Renting and operating business space at airports is expensive, and that cost must be passed on to customers. That's why airport food appears overpriced, and why many ​airport buys are unwise. For example, a three-day rental could cost $56/day, but a weekly contract might be $28/day. Many companies define a week as at least five days. It sounds crazy, but a five-day rental might be the same price or even cheaper than the three-day keep. Most budget travelers know they should check with their auto insurers to be certain they are covered when renting a car. Many times, basic coverage will be provided. Credit card companies sometimes provide coverage on car rentals, too. It pays to know the specifics. But car rental clerks frequently warn that your insurance might not cover everything. They urge you to purchase the company's additional policies that will leave you without a worry. Those added insurance costs can double your expense, so be absolutely certain they are necessary before agreeing to make the purchase. Once in a while, they do make sense. When renting overseas, for example, your auto policy might not cover an accident. Credit cards sometimes do, but frequently exempt certain countries. Basic travel insurance often covers damages but not liability or medical expenses. In a smaller city, the fleet size is limited. You might spend several hours waiting for the next return, which then has to be cleaned prior to delivery. If you don't notice scratches, cracks in light covers, mirrors or windshields, body dents, chipped paint, stains on the upholstery, and other seemingly minor problems of a car when you rent it, you might have to pay for it. There are times when a larger car is about the same price as a compact. In those cases, many budget travelers see the extra money as well-spent. But when that pricing does not exist, it always pays to reserve a smaller car, especially during busy holiday travel periods. The companies frequently run out of smaller cars, and if they don't have the small car you reserved at the time of arrival, you'll get a free upgrade. In the U.S. and Canada, this free upgrade happens more frequently than many might imagine, because the companies tend to stock larger cars. Frequently overheard at the rental counter: "Wouldn't you like a navigation system? Many of the roads here are hard to follow." But there are plenty of other offers that will be made. The aforementioned insurance, fuel package purchases, and satellite radio upgrades all add up. Some companies will give you an hour or so of grace time, but there are others with policies that hold you to the hour and minute you said you'd bring back the car. In a few extreme cases, you'll be charged for another day, even if that day was 20 minutes. Be sure to ask the clerk about the company's policy. Better yet, try to give yourself a time cushion. Estimate a time an hour or so later than you actually expect to return.